Your day-by-day itinerary now includes Hollywood Walk of Fame, Battleship USS Iowa BB-61, The Grove, and other attractions you added. 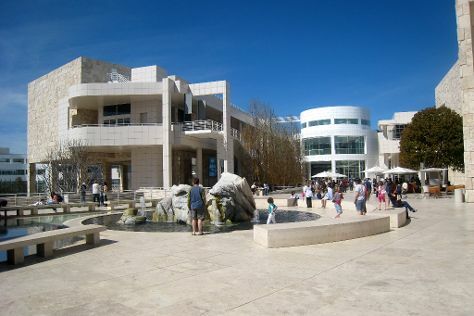 On the 16th (Tue), examine the collection at The Getty Center and then see the sky in a new way at Griffith Observatory. Keep things going the next day: admire the masterpieces at The Museum of Contemporary Art, then look for gifts at Amoeba Music, and then buy something for everyone on your list at The Grove. To see maps and other tourist information, read our Los Angeles trip itinerary tool . The Route module can give you travel options from your home to Los Angeles. In July in Los Angeles, expect temperatures between 83°F during the day and 66°F at night. Wrap up your sightseeing by early afternoon on the 18th (Thu) to allow enough time to drive to Long Beach. Your day-by-day itinerary now includes The Queen Mary. Start off your visit on the 18th (Thu): see the interesting displays at Torrance Art Museum and then see the interesting displays at The Queen Mary. To see traveler tips, photos, reviews, and tourist information, refer to the Long Beach online day trip planner . Long Beach is just a short distance from Los Angeles. Expect a daytime high around 83°F in July, and nighttime lows around 67°F. Cap off your sightseeing on the 19th (Fri) early enough to go by car to Anaheim. Kick off your visit on the 19th (Fri): discover the magic at Disneyland Park. 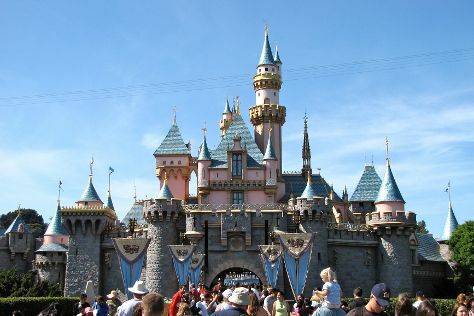 For reviews, ratings, traveler tips, and other tourist information, read Anaheim trip itinerary builder site . Anaheim is very close to Long Beach. In July, daily temperatures in Anaheim can reach 86°F, while at night they dip to 68°F. On the 20th (Sat), you'll travel to Williams. 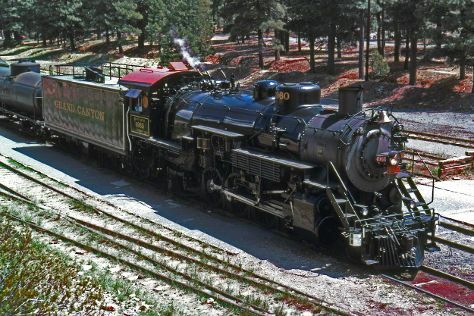 Grand Canyon Railway has been added to your itinerary. To see ratings, where to stay, other places to visit, and more tourist information, you can read our Williams online day trip planner . Traveling by combination of bus, flight, and taxi from Anaheim to Williams takes 5 hours. Alternatively, you can drive; or do a combination of flight and shuttle. The time zone difference moving from Pacific Standard Time (PST) to Mountain Standard Time (MST) is 1 hour. Expect slightly colder temperatures when traveling from Anaheim in July; daily highs in Williams reach 81°F and lows reach 56°F. On the 21st (Sun), wrap the sightseeing up by early afternoon so you can drive to Las Vegas. Your day-by-day itinerary now includes New York New York Casino as well as The Beatles - Love - Cirque du Soleil. Start off your visit on the 21st (Sun): get engrossed in the history at Titanic and then see a one-of-a-kind show at The Beatles - Love - Cirque du Soleil. For maps, photos, other places to visit, and more tourist information, read our Las Vegas trip planner . You can drive from Williams to Las Vegas in 4 hours. Alternatively, you can fly; or do a combination of bus, flight, and car. Due to the time zone difference, you'll gain 1 hour traveling from Williams to Las Vegas. Expect much hotter temperatures when traveling from Williams in July; daily highs in Las Vegas reach 104°F and lows reach 81°F. Finish your sightseeing early on the 23rd (Tue) to allow enough time to drive to Yosemite National Park. 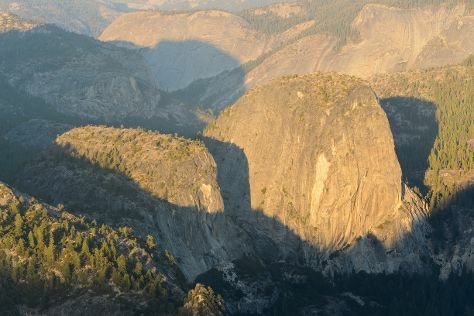 Your day-by-day itinerary now includes Yosemite Valley Floor Tour. On the 23rd (Tue), catch a ride on Yosemite Valley Floor Tour. To find reviews, traveler tips, other places to visit, and tourist information, go to the Yosemite National Park travel planner . Drive from Las Vegas to Yosemite National Park in 9 hours. Traveling from Las Vegas in July, things will get cooler in Yosemite National Park: highs are around 83°F and lows about 46°F. Finish your sightseeing early on the 24th (Wed) so you can drive to San Francisco. Kick off your visit on the 25th (Thu): engage your brain at Exploratorium, then browse the different shops at Ferry Building Marketplace, and then head off the coast to Alcatraz Island. For reviews, photos, traveler tips, and other tourist information, read our San Francisco road trip planning tool . You can drive from Yosemite National Park to San Francisco in 4 hours. Other options are to do a combination of car and flight; or do a combination of bus and flight. When traveling from Yosemite National Park in July, plan for little chillier days and a bit warmer nights in San Francisco: temperatures range from 73°F by day to 57°F at night. You'll have a few hours on the 26th (Fri) to wrap things up before traveling to San Jose. Your day-by-day itinerary now includes Winchester Mystery House. To see maps, other places to visit, reviews, and other tourist information, refer to the San Jose online tour planner . Getting from San Francisco to San Jose by car takes about an hour. Other options: take a bus; or do a combination of subway and bus. Expect a bit warmer weather when traveling from San Francisco in July: highs in San Jose hover around 81°F, while lows dip to 59°F. Finish your sightseeing early on the 26th (Fri) so you can travel back home.